San Diego, CA – The Elite Basketball Circuit made its annual spring trip San Diego where players from Denver, Fresno, Las Vegas, Los Angeles, Oakland, Phoenix, Sacramento, and San Diego competed to earn an opportunity to be invited to the EBC JR. All-American Camp that will take place in Anaheim, California on the first weekend of August. Camp MVP Curtis Williams stood out as one of top players we’ve seen at EBC this season. The 6’2” guard out of the Inland Empire in California has an advance basketball IQ, size, court vision and a deadly mid-range jumper. 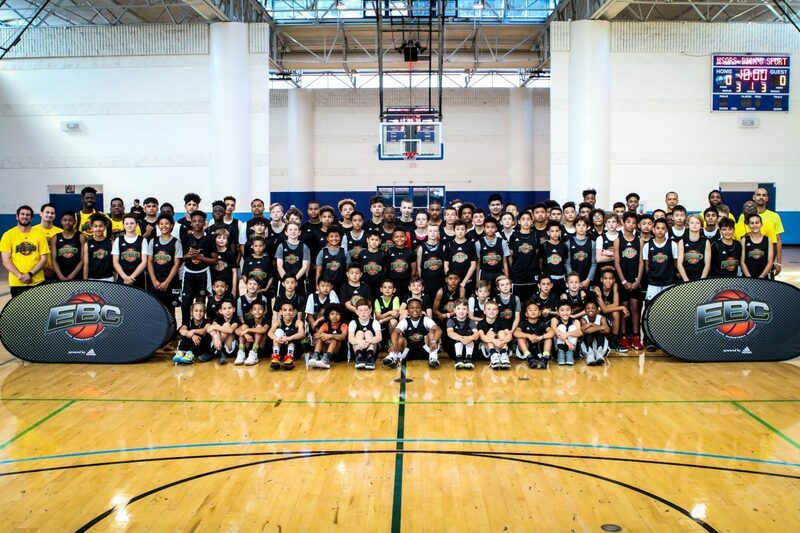 The 7th grade group made history as both Jaeden Bland from Sacramento and Amanuel Tesfahunegn from San Diego had great performances throughout the entire camp making it difficult to separate them and therefore both earned Co-MVP honors. 2023 from RC Bulls, Curtis Williams has tremendous potential and stood out as one of the top players we have seen at EBC earning him the title of Camp MVP. 2023 from BTB, Amanuel Tessfahunegn has advanced his offensive game and is one of the smoothers jumpers we have seen on the circuit. Tessfahunegn is also one most improved players in his 7th grade class earning him the honorable mention of Co-MVP. 2024 from Matt Barnes Elite, Jaeden Bland came into camp with such a strong presence and noticeably competed on every single possession making him Co-MVP for him 7th grade class. 2023 guard from Gamepoint, Papa MBengue took on the challenge of guarding one of the best opposing players and had a solid weekend controlling the game. 2023 wing from SD Republic, Mikael Pink had a terrific weekend scoring in the paint, rebounding and pushing the ball up the court. 2023 guard from SD Republic, Stephen Pangililan entered the camp with his leading guard skills on full display throughout the weekend. Pangililan has excellent court vision and is a solid jumper. 2024 lengthy wing from SD Republic, Jayden Wade earned 7th grade MVP honors as he at times showed signs of being the player to beat on both the offensive and defensive end. 2025 forward from SD Soldiers, Andrew Konsmo earned 6th grade MVP honors for his ability to get in the paint and score effortlessly. Konsmo was extremely active and competitive in going after every rebound. 2025 guard from California Bearcats, Jake Hall displayed nice off-the-dribble packages and had a solid all-around game. 2026 from SD Sol, Tristan Anderson was the most fun to watch. Being that Anderson is small guard, don’t underestimate him because he is extremely creative in not only getting to the basket, but his execution.